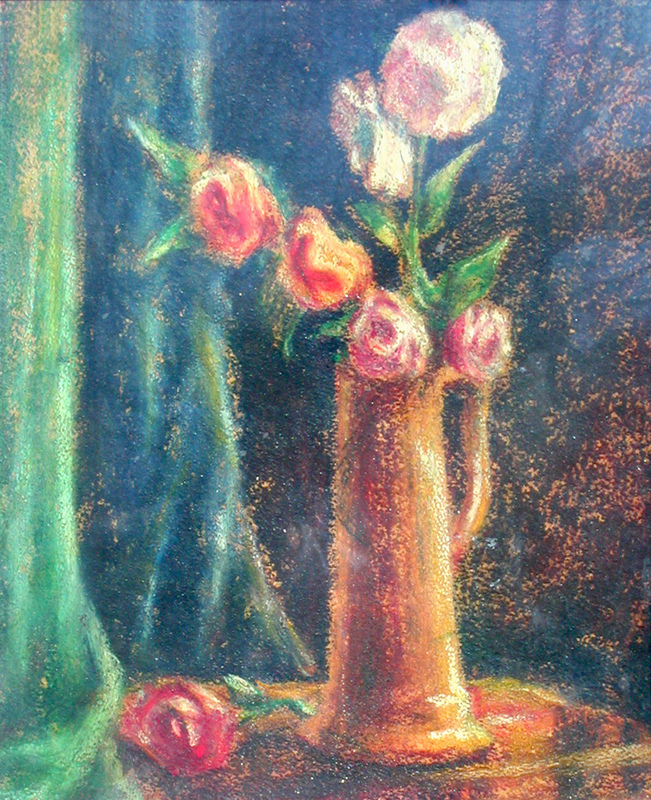 Flowers & vase, pastel, ca. 1948, ca. 11.5" by 16"